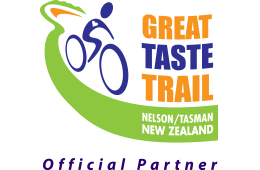 Nelson is a tasty place and it’s easy to get excited about the food and drink along the trail. The fabulous climate means that a wide range of seasonal vegetables are grown here and are readily available at boutique vegetable shops and rural vegetable stalls, as well as at the Nelson Saturday Market. Nelson Saturday Market is a great place for fresh food and vegetables. The market operates from 8am to 1pm and we recommend you go early to beat the summer crowds. Although not strictly a food market, there are a number of food stalls here, selling ethnic food, pancakes, fresh berries (in season), artisan meats, cheeses and breads and more. The Saturday Market is held in a large carpark in the heart of the city. Nelson Farmers Market is a showcase for locally grown foods and all the stalls-holders here are growers or producers. This is a chance to meet and buy directly from the source. The Farmers Market is held on Wednesdays, 8am - 2pm, in a central city street. Nelson has an excellent range of restaurants, cafes and bars in the inner city and along the picturesque waterfront. The main street in the city is punctuated by the historic Cathedral Steps, and there is a hub of restaurants and cafes below the steps, creating a lively evening atmosphere of outdoor dining. Award-winning restaurants such as Hopgoods, Fords and Cod & Lobster are located here. Similarly, the waterfront restaurants offer outdoor dining and views of the sunset over the sheltered waters of Tasman Bay. The Boat Shed Cafe and Harbour Light Bistro are located here. For a hidden gem of a café, popular with locals, visit Devilles in the city and for delicious, fresh Mexican food in a contemporary casual setting try our personal favourite, Nicola’s Cantina. The Nelson region is home to 29 boutique wineries, dotted across the picturesque hills and plains of the wine-growing regions. Wineries here are generally small and family-owned, meaning it is not unusual to meet the wine-maker or a member of the family when visiting. Some cellar doors are combined with cafes. Pinot Noir, Chardonnay, Sauvignon Blanc and Riesling are the predominant wines produced here and there are two distinct areas of production. 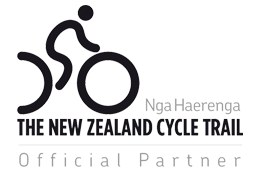 The Waimea Plains are located on the rural boundary of the city and the Moutere Hills lie to the west of the city. The Moutere area is renowned for its natural beauty, with some calling it the Tuscany of NZ. The best time to visit cellar doors is the period between Labour Weekend and Easter, as many are closed outside of this period. Summer sees a glut of options, including tomatoes, eggplants, peppers, beans, sweet corn, and lettuce in many varieties. Artisan Cheese makers in the region include Wangapeka Cheese, and a visit to the Nelson Saturday Market is a great place to discover local cheese. Berries (boysenberries, raspberries and strawberries) are grown commercially in the region, as are black currants, with December & January being peak season for these berries. Apples and kiwifruit are also grown commercially and apple orchards are another unique feature of the landscape, particularly in the coastal area to the west of the city. Nelson is a port city with a strong fishing industry, so a wide range of fresh fish is available here including flounder, snapper, groper, gurnard and many more species. To buy fish, head to Guytons, a large fish shop on the waterfront. Green Lipped Mussels are grown commercially just across the hill in Marlborough and fresh mussels are a common pub meal nation-wide and reliably delicious. Many pubs also serve Seafood Chowder, which will generally include fish, mussels and squid in a creamy potato based sauce. Mussels are also sold live in supermarkets in NZ. Cockles, otherwise known as clams or vongole, are harvested locally in Golden Bay and are also available to buy from some supermarkets, where they are sold pre-cooked in their shells in a vacuum pouch, or raw in the shell. Berries (boysenberries, raspberries and strawberries) are grown commercially in the region, as are black currants, with December & January being peak season for these berries. Apples and kiwifruit are also grown commercially and apple orchards are another unique feature of the landscape, particularly in the coastal area to the west of the city. A wide range of seasonal vegetables are grown here and are readily available at boutique vegetable shops and rural vegetable stalls, as well as at the Nelson Saturday Market. Summer sees a glut of options, including tomatoes, eggplants, peppers, beans, sweet corn, and lettuce in many varieties. Artisan Cheese makers in the region include Wangapeka Cheese, and a visit to the Nelson Saturday Market is a great place to discover local cheese.